August 4 , by Mardi Robyn. Miss Portia describes her necklace as “Super quick and simple statement necklace with a minimalist edge.” I completely agree. I like the simplicity of the design, the shape of the pendant, and the color contrast between both gold and silver metals. I think you will agree the necklace is easy to make. Great for the jewelry maker who is just beginning. 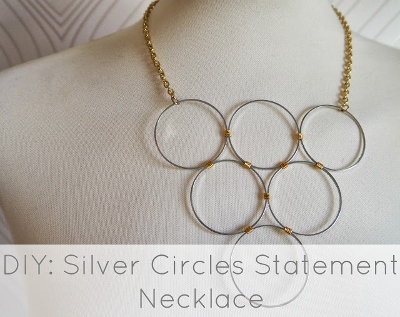 Check out the tutorial and learn how to make your own Silver Circles Statement Necklace. Thanks for the shout out Mardi!